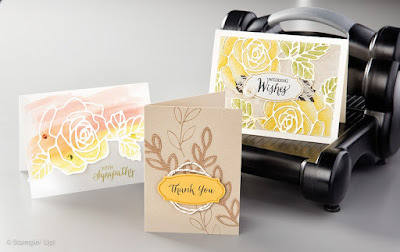 I am absolutely loving the new Rose Wonder stamp set and especially the Rose Garden Thinlit Dies. It was one of the first things I ordered from the new catalog. Check out some cards I've posted here and here. I wanted to share the video from Stampin' Up! so you can see these products in action. These projects, created by Stampin' Up! Concept Artists, appear in the 2016 Occasions Catalog. You can buy the stamp set and framelits bundled together and save 15%. It's almost enough to earn a Sale-a-bration gift! 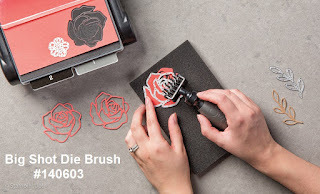 If you are looking for something to get your over $50, you'll definitely want to consider the new Big Shot Die Brush. It makes it so easy to remove all the pieces from intricate dies like these! The Sale-a-bration gift I would pair this with would be the Perfectly Artistic Designer Series Paper. 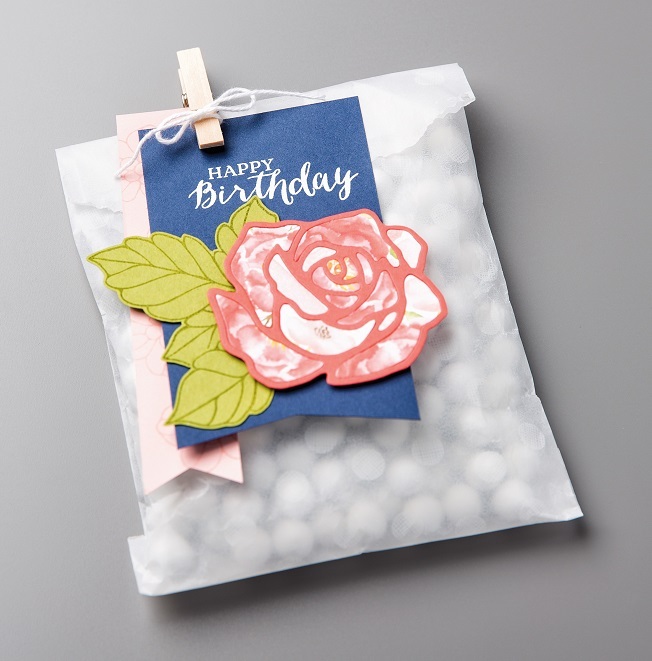 This paper looks beautiful under the die cut roses. Don't forget that it is limited edition and only available while supplies last until February 15 (not the end of Sale-a-bration)!